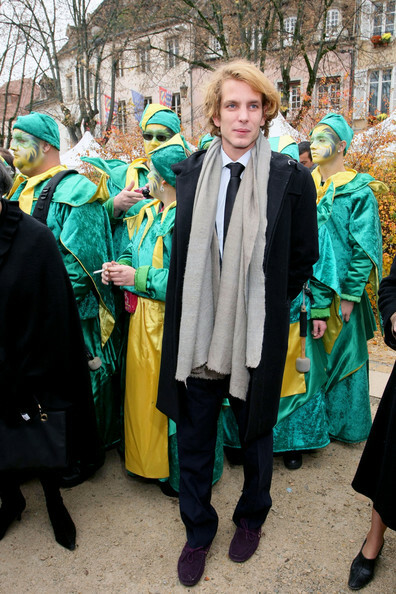 Prince Andrea Casiraghi is a guest of honor at the 149th Hospices de Beaune Wine Auction. Andrea's snappy purple suede loafers were an unexpected addition to an otherwise understated outfit. Andrea Casiraghi layered a light gray scarf over his jacket for extra warmth on a cool Autumn day.